Oh dear! The camera cannot lie. 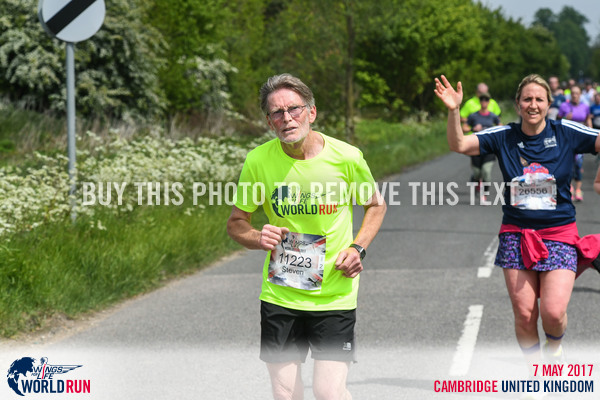 Here’s me snapped at 3k and 15k running Wings for Life in cambridge. Actually I didn’t feel half as bad as I looked and I went on to 18.3k before David Coultard, the F1 racing driver (rtd) caught me up, deactivating my chip. A few thousand of us started in Cambridge at 12am exactly and we are pursued by Dave in the catcher car who starts out 30 minutes later at 15kph and gradually increases his speed. It’s great fun, run on closed roads and well organised. It’s sponsored by Red Bull and there are plenty of free samples, if you like it, including at the drink stations. Like most runners, I favour water at a drink station and that was plentifully available. But here’s where the story turns dark and sinister. As I ran diagonally to grasp a cup of water, I gently collided with a another runner and was deflected helplessly to a more remote area of the drinks table full of what I thought to be weak fruit cordials. Reader, I drank one in haste and ran on, fearful Dave had me in his sights. I quickly comprehended I had imbibed Red Bull instead of aqua and took off like a rocket! Actually, the only negative effect was a feeling of thirst caused by the excessive sweetness and I knew I would be caught within a few kilometres. On the return bus, we were all given a bottle of water so I have no complaints. It was a good day and I’ll do it again next year. The winner this year did well over 60k before Dave caught up with him! It was a great running weekend. The previous day, Saturday, I ran Cambridge parkrun at 9am and then went over to a nearby village and ran a 7k at 10.30am. It’s all manageable if I don’t expect to run at peak speed. I particularly like the Cottenham 7k. It’s a charity fund raiser, Lorna volunteered and I always buy a load of plants from the local Horticultural Society stall. Beyond irony! The evil Tory party are championing increased workers’ rights as part of their election manifesto. As if. Hurray! Chinchin! 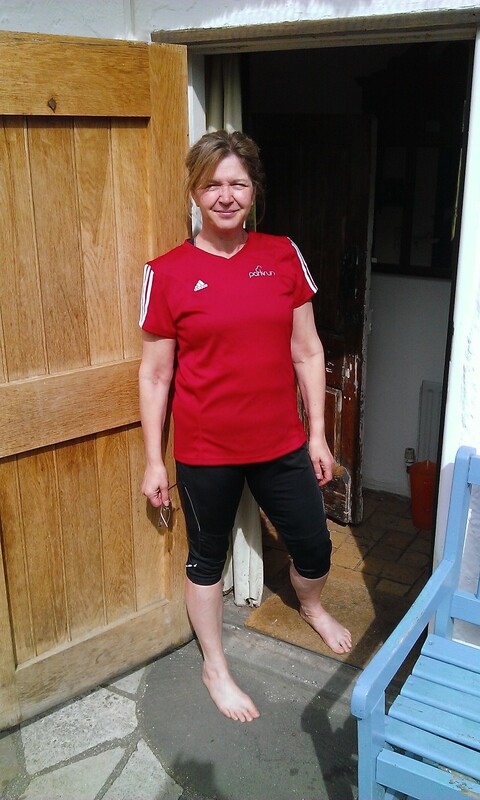 Lorna’s back running again following prolonged recovery from her Achilles tendonopathy injury which not only stopped her running last August but also made walking painful. She successfully completed Cambridge parkrun (5k) in around 33 minutes and so far her ankle is OK. Cue renewed interest in all things running. Excellent! Last week I ran Cambridge parkrun in just under 24 minutes which represents a reasonable return to form. Today I ran 8 seconds slower, coming in at 24 mins 4 seconds.I was roundly beaten by my two arch rivals, Mike and Kerry who both got personal bests of 22 mins 21 secs and 22 mins 20 secs respectively. A lingering doubt continues to trouble, despite my outwardly calm exterior. Did they conspire to take a short cut, away from the beady eyes of the marshals? Should I request a marshals’ inquiry? Or are they simply faster than me? No, that cannot be. I’ll definitely call for an inquiry. Tomorrow I’m doing the Cambourne 10k alongside Mike and Kerry. I’ve arranged for 20 “spectators”, strategically placed along the course, to ensure fair play. If they beat me by more than a minute I’ll eat my (old) running shoes and post it on You Tube. Last year, work on renovating a neglected pond came to a grinding halt when I uncovered a small colony of bees located under the old liner. What to do? I rang my old mate Tony Blair for advice. He took a few seconds free time from his Special Middle East Envoy role to consider the problem and then gave me his sincerest view. 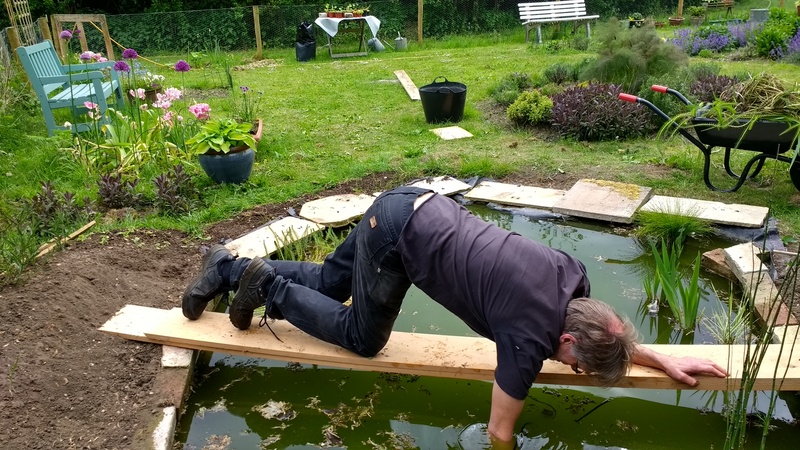 He said “Let them live in peace…allow them their allotted life span…don’t destroy their habitat.. they’ll be gone in the Autumn… complete your pond at that point.” Thanks, Tony,” I gushed, “you’re a sage. Now, please return to sorting out the Middle East on behalf of everyone”. Two days later I received an invoice from the Tony Blair Set the World to Rights Foundation for £31,321 with reference to services provided via a phone call from Bahrain. This seemed a tad expensive but I accept this kind of top advice doesn’t come cheap. Anyway, that was last year. The above pic is the current state of development of the pond. It’s still a work in progress but I’m reasonably happy with it. It quickly got colonised by a variety of water dwelling creatures including newts and a frog (do frogs eat newts?). 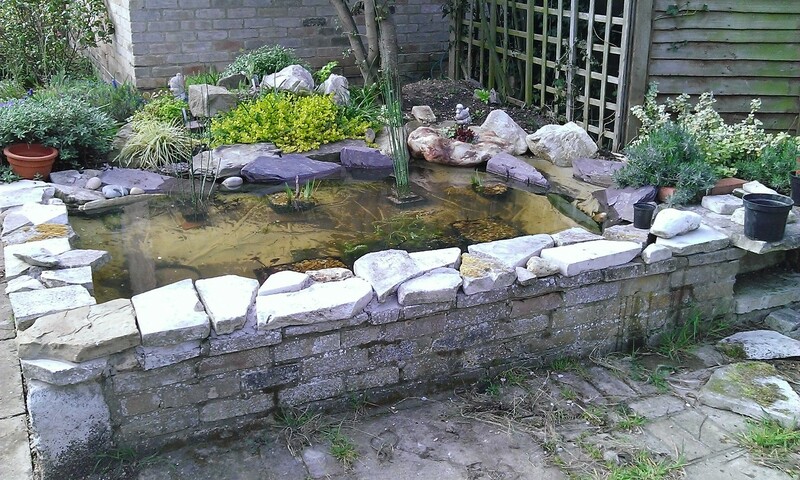 water boatmen and skaters and the newly created rock garden overlooking the pond looks good. I daren’t let Tony know the good news. I know he charges £500 a second just for listening!